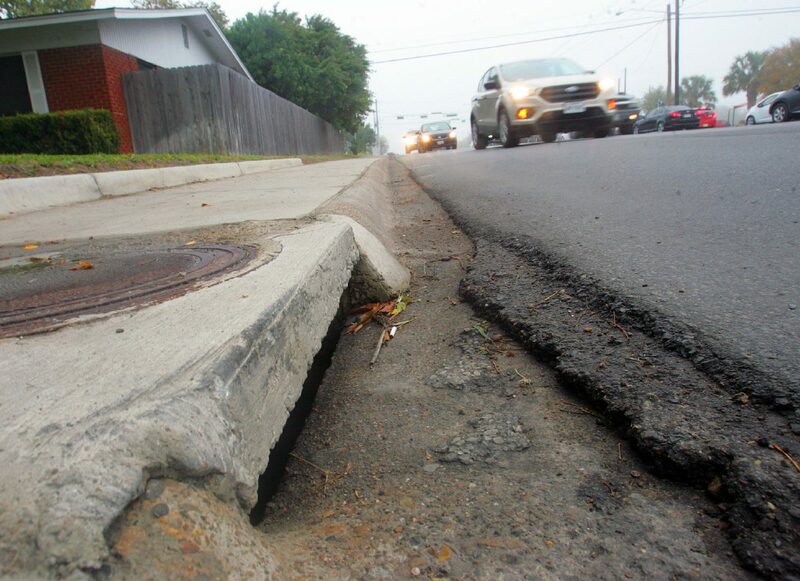 McALLEN — A slight increase to monthly utility bills could be implemented as soon as March, as city officials are weighing a drainage utility fee, anticipated to last for eight years. The fee will vary depending on the size of a residence — the McAllen engineering department calculated that the average residence in McAllen is 2,700 square feet, which would amount to a $1.50 monthly drainage fee. The city held two public meetings — one on Monday at the Lark Community Center and the other Tuesday at the Palmview Community Center — for citizens to give feedback on the proposed fee. Only about 25 members of the public attended the meetings over the two days. City commissioners will likely be voting on whether or not to implement the fee at the Jan. 8 commission meeting. Commissioners Joaquin “J.J.” Zamora and Omar Quintanilla were both at Tuesday’s meeting. They each said they plan to vote in favor of the fee, with some slight modifications. The city’s master plan estimates the need for $46 million in drainage projects, and $11.2 million of that number would come from this fee. Barrera said the city anticipates the fee lasting for eight years, assuming there is a 100 percent collection rate. She said the rest of the money for the drainage master plan will likely come from capital improvements, a Tax Increment Reinvestment Zone (TIRZ), various grants and a drainage bond. Nothing is certain yet, but commissioners will likely vote after the new year to hold a May bond election. One of the bonds would likely be for about $20 million in drainage projects. The way the city determines the fee for each property, as currently proposed, is to take the total square footage of impervious cover at a property, divide it by 2,700 — the average square footage of a McAllen single-family residence — and multiply that number by 1.50. Impervious cover is everything on a property that is essentially an artificial structure. Examples of impervious cover include a patio, parking garage, cabana, pool house or shed. The Hidalgo County Appraisal District uses codes for every piece of impervious cover on a property. These codes appear on property tax bills. The city uses the codes to determine square footage of cover on the property. For example, if a property has 3,074 square feet of impervious cover, you would divide that by 2,700 (the average square footage of a McAllen single family residence). That quotient comes to 1.14. That number is then multiplied by 1.50 (the price an average McAllen residence would pay). That final sum for that resident’s monthly drainage utility fee would come to $1.71. Average monthly residential drainage fees vary in other cities across the state, as they all use different methods to calculate their respective fees: Amarillo is $2.76; San Antonio is $4.25; Round Rock is $4.75; Corinth is $6; Forth Worth is $8.10; Houston is $8.20; and Austin is $17.48. The proposed fee also applies to commercial properties. The city estimates it will receive $53,000 from residential monthly fees and $62,000 from non-residential monthly fees, which would bring the city’s revenues to just under $1.4 million per year. Barrera assured that the money would be handled strictly for drainage projects. The fee could be discontinued after at least five years if “the governing body of the municipality determines that the system should be discontinued …” government code chapter 552 reads. Zamora said he would vote for the fee if the commission could evaluate the status of the fee, the collections and the progress of the projects after a certain amount of time, such as five years, and possibly end the fee if necessary. Zamora pointed to other areas of possible revenue that are lower right now, such as international bridge collections and oil and gas royalties. However, if the governing body decides after, say, five years to discontinue the fee, they cannot re-impose the fee for at least another five years. Prospective city commissioner Dr. Joseph M. Caporusso was also at Tuesday evening’s meeting. Caporusso is running for the District 1 commission seat being vacated by Commissioner Richard Cortez, who is running for Hidalgo County Judge. The special election for the District 1 seat is on Jan. 20, 12 days after the vote on this fee is scheduled to take place.